SUMMARY: In this episode, Brian and Chris speak with Jeremiah Johnston, president of Christian Thinkers Society and Professor of Early Christianity at Houston Baptist University. 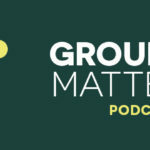 Jeremiah shares about the mission of the Christian Thinkers Society—to inspire all Christians to be thinkers and all thinkers to be Christians—and discusses the goal of equipping and enabling group leaders to answer difficult questions about faith and doubt. Jeremiah also lists the most frequently asked questions he receives via text message from live audiences—including questions about how the church can address the problems of depression and anxiety—and offers some guidelines for church leaders to help their congregations pursue sincere and biblically sound answers to these questions. In addition, Brian and Chris discuss two blog posts by Eric Geiger: Four Warning Signs You’re Approaching Burnout and Four Practical Ways to Avoid Burn Out. GUEST: Jeremiah Johnston is president of Christian Thinkers Society, a Resident Institute at Houston Baptist University, where he also serves as Professor of Early Christianity. Jeremiah’s passion is working with local churches and pastors in equipping Christians to give intellectually informed accounts of what they believe. Jeremiah has distinguished himself speaking in churches of all denominations, and authored articles in both popular magazines, and scholarly books, journals and media programs—among many other publications, he wrote the Bible study Unanswered, published by LifeWay. He completed his doctoral residency in Oxford and received his Ph.D. from Middlesex University (UK). He also earned advanced degrees in theology from Acadia University and Midwestern Baptist Theological Seminary. Jeremiah is married to Audrey, and they are parents to five children— including triplet boys! Find more information at christianthinkers.com and on Twitter @_JeremiahJ. EPISODE SPONSOR: This week’s episode is sponsored by the Bible study Unanswered. This study addresses several challenging topics, including mental health and suicide, paranormal activity, the resurrection, how we got the Bible, suffering, and why God is sometimes silent. The study will show you how to answer, how to explain, and how to respond in a deeply winsome and attractive way, as a thoughtful ambassador of Jesus. 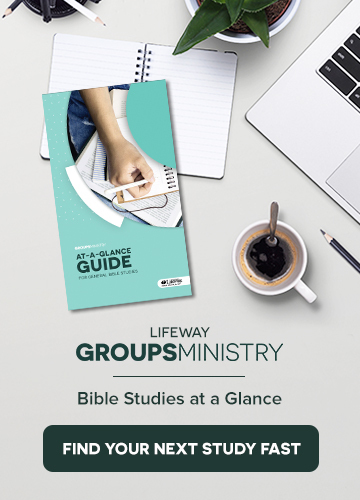 FInd more information at lifeway.com/unanswered.